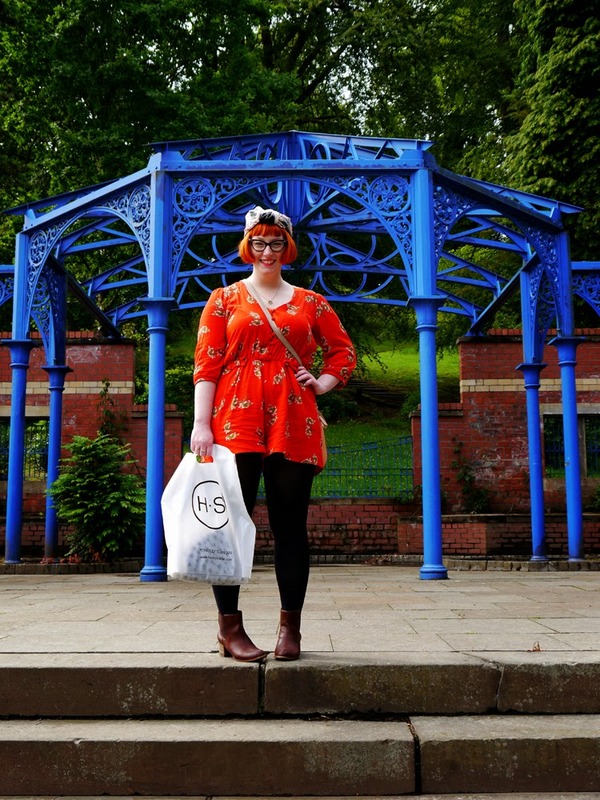 Here's what I wore for my trip to Dundee to visit the Hayley Scanlan pop up shop. 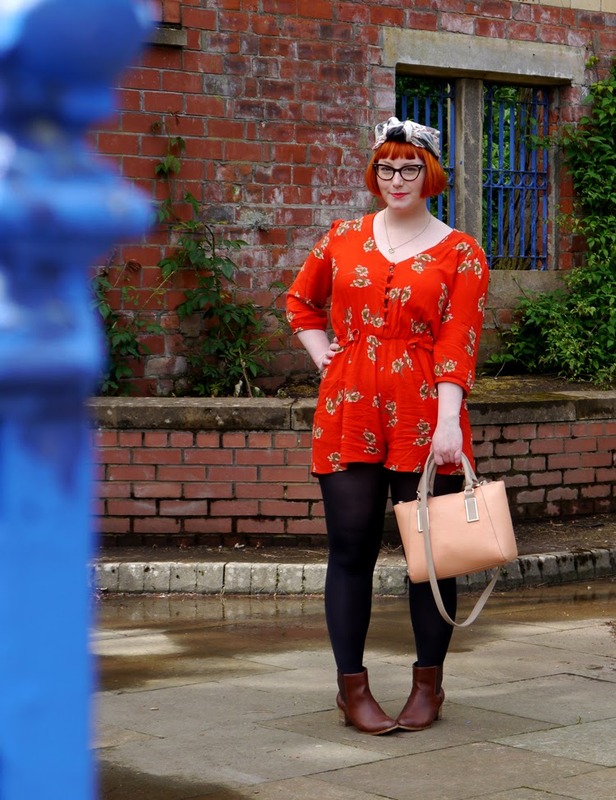 I love this playsuit because it's so colourful and really rather comfortable to wear. Unfortunately it does tend to get a little wrinkled if I've been sitting down for a while, which is something I tend to do a lot. 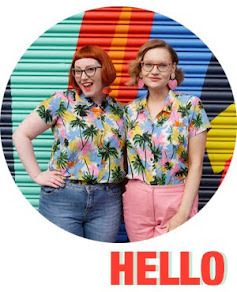 I really must learn to take outfit photos at the start of the day! After treating myself to something from the pop up shop, Ross and I headed for a little walk up by the observatory. Unfortunately Kimberley couldn't make it trough for the event so Ross was my stand in blogging partner for the day. 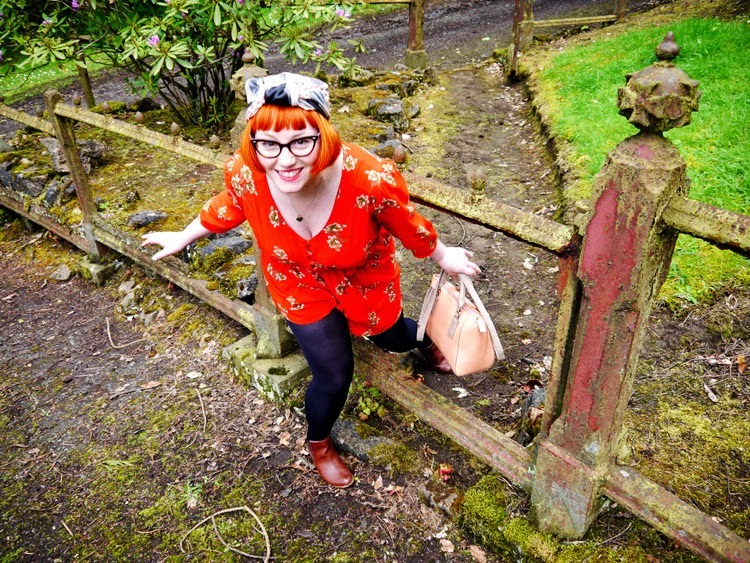 We clambered through a graveyard and sauntered across a bright blue bridge, snapping photos along the way. 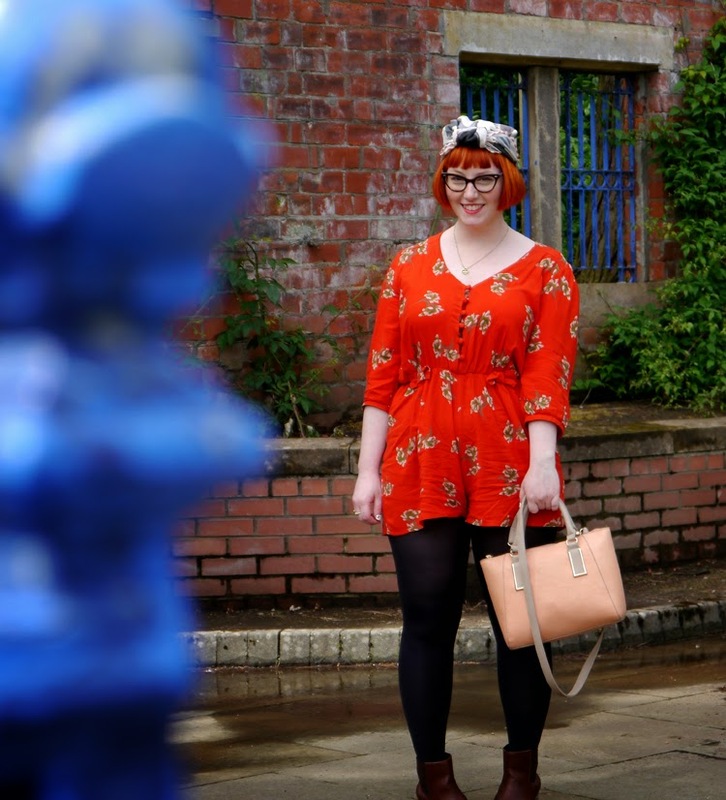 I paired my playsuit with some black tights and boots as there were a few clouds and drops of rain to contend with. 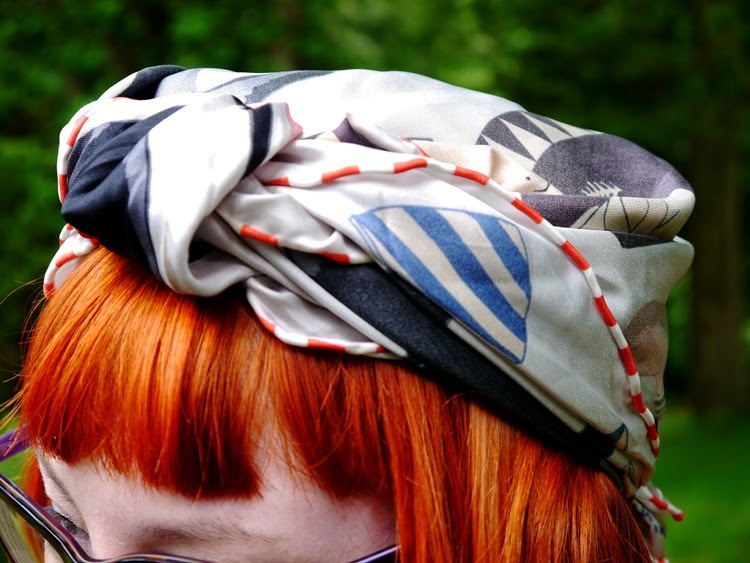 I also added one of my Karen Mabon scarves, worn as a hat thing (or at least that's what Ross named it). It was supposed to be turban style but it went a bit out of shape after trying stuff on at the pop up shop. 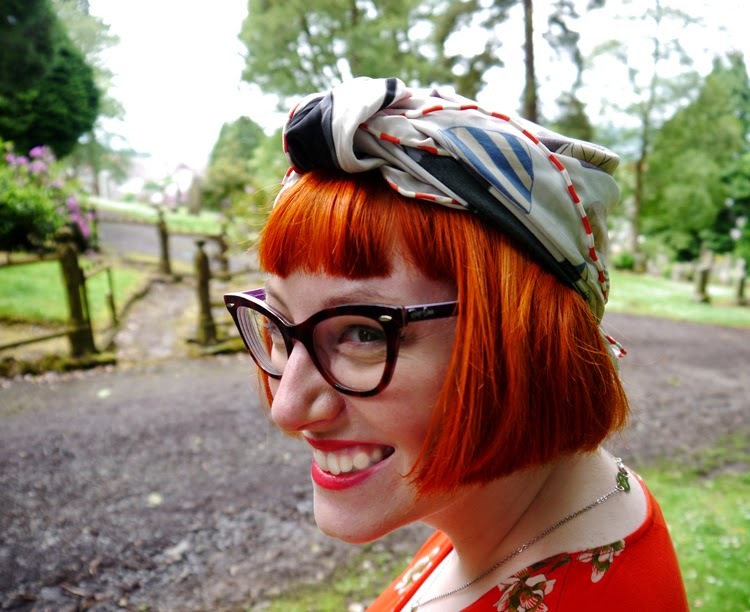 I do love experimenting with different ways to wear my collection of pretty scarves, even if some experiments work out better than others. 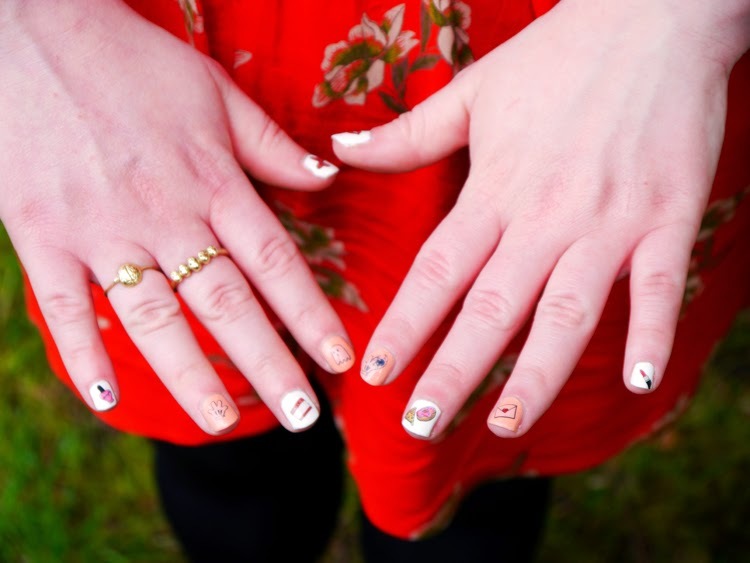 Adorning my nails are some awesome decals from DIY Nails and Nancy Mc collaboration. Such a cute set of randomness and so easy to use. Perfect for when I want something extra on my nails but don't have the time to do it myself.